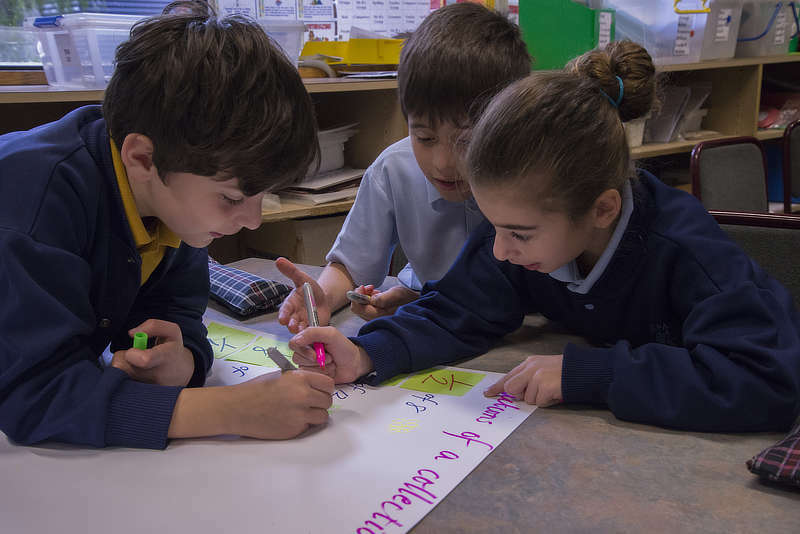 St Paul’s school uses the following six Principles of Learning and Teaching which clearly express the means for teachers to facilitate the learning of each student. These principles also outline the structures that need to be established. It is our goal that each child can achieve their potential, enabling them to become individuals who have the capacity to manage and discern themselves in an ever changing future and world. 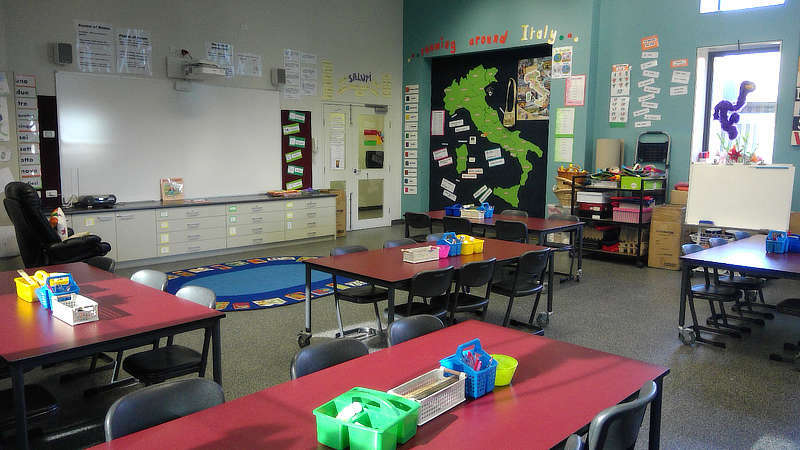 The Learning Environment promotes independence, interdependence and self-motivation. Students are challenged and supported to develop deep levels of thinking and application. St Paul’s Primary School has a strong commitment to child safety, as is reflected in our Vision Statement. We continually strive to ensure that every child is safe from harm including all forms of abuse, cultural safety for Indigenous children and those from culturally and linguistically diverse backgrounds, and children with a disability. We exercise zero tolerance to abuse. is alive when we join together in prayer and celebration. the parish priest, principal and staff are committed to the total well-being of the individual. the staff endeavour to assist in the personal growth of the individual and their worth as persons and to develop skills in building and maintaining meaningful relationships. the staff creates a caring environment within the school community, as well as each child’s individual worth and contribution. the staff endeavour to help each individual grow in knowledge of themselves and their relationship with God. at all times the staff promote relationships based on compassion and justice where the rights of all members of the school community are respected. The Victorian Curriculum is implemented at St Paul’s from Prep (Foundation) to Grade 6. 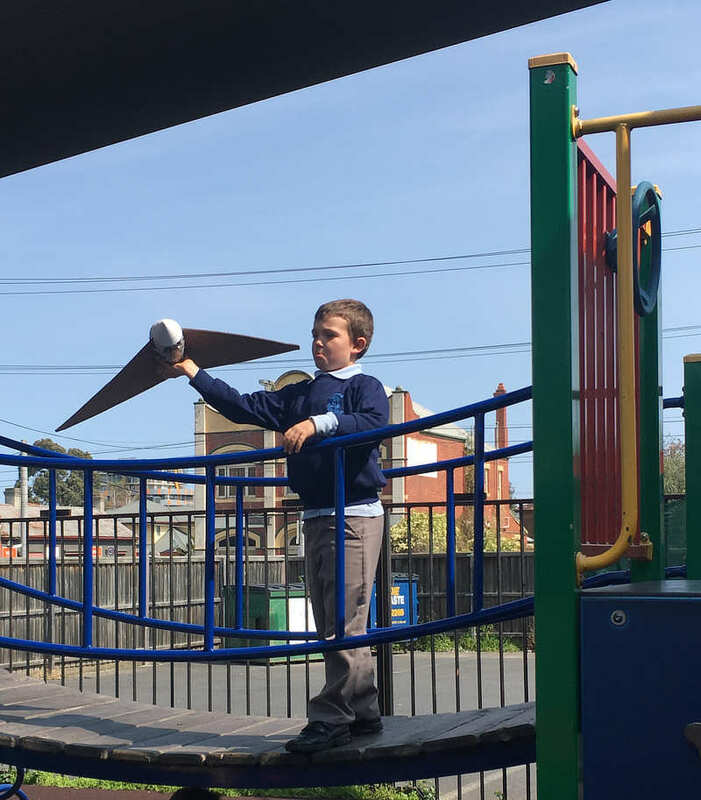 It incorporates the Australian Curriculum and reflects Victorian standards and priorities. It will provide all students with a sequential curriculum framework that guides their learning, as well as providing measures of learning achievement that allow students, teachers and parents the opportunity to assess student performance against expected achievement standards. English is taught through a whole/small/whole group model for learning. Teachers differentiate their teaching through focus groups ensuring student’s learning is personalised and individual needs are catered for. 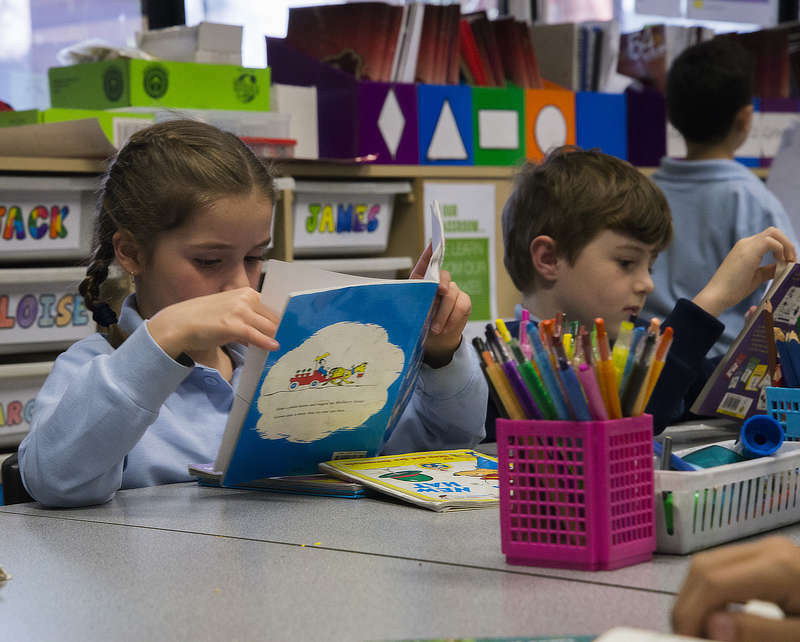 A range of intervention takes place at St Paul’s including, in the junior years, the use of reading recovery strategies in small focus groups for both reading and writing and, in the middle and senior areas, the use of the ERIK program. 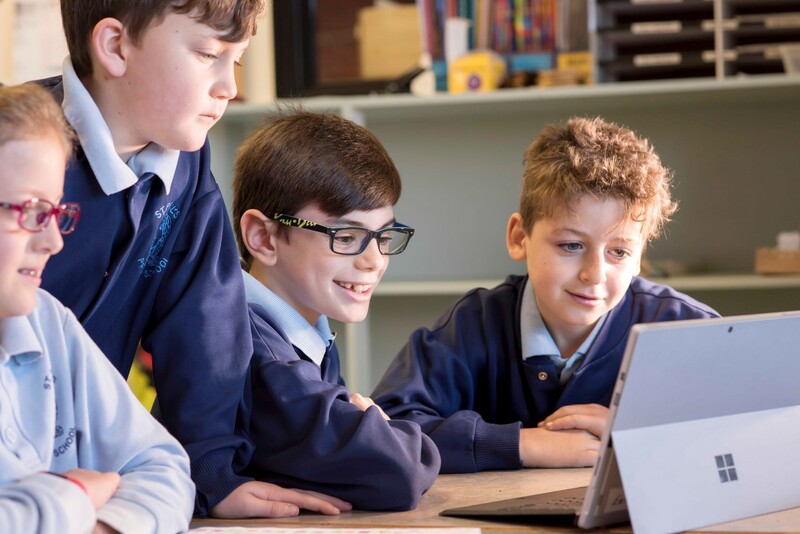 Students with additional needs are supported through a variety of tailored programs offered by our Literacy and Wellbeing Leaders, CEO school advisors, speech pathologists and Learning Support Officers. At St. Paul’s, we aim to enhance and promote the importance of literature and literacy, both within the school and in the local and wider community. We participate in numerous activities and events such as Book Week (a favourite! ), weekly assemblies prepared and hosted by different classes, National Simultaneous Reading Day, the Victorian Premier’s Reading Challenge, the YABBA Young Authors Awards, author and illustrator visits, visits to our local library, an annual Book Fair, participation in the ICAS reading, spelling and writing competitions (biennially) and cross-aged literacy activities. Mathematics is a powerful means of communication, which helps us represent, explain and predict events in our world. It is a means to prepare for and enhance work skills which are fundamental to everyday living. Our mathematics program aims to provide students with the confidence and competency to deal with maths in their daily life. Student’s individual abilities are assessed and learning opportunities are catered to their needs. This includes using technology and other activities to further support their learning. At St.Paul’s Catholic Primary School, we acknowledge Jesus as our leader and are inspired to continue this journey in the spirit of St. Paul and the sisters of Mercy. All teachings underpin the Gospel values, whilst incorporating God’s presence into our daily lives through sacramentality. Religion at St Paul’s brings together the essential components of Knowledge and Understanding, Responding and Reasoning, and Personal and Communal Engagement. We aspire to educate and to challenge our students to recognise injustices and help others to rise above them Children address the needs of people in the parish and wider community through school initiatives including “The Mini Vinnies Group”. 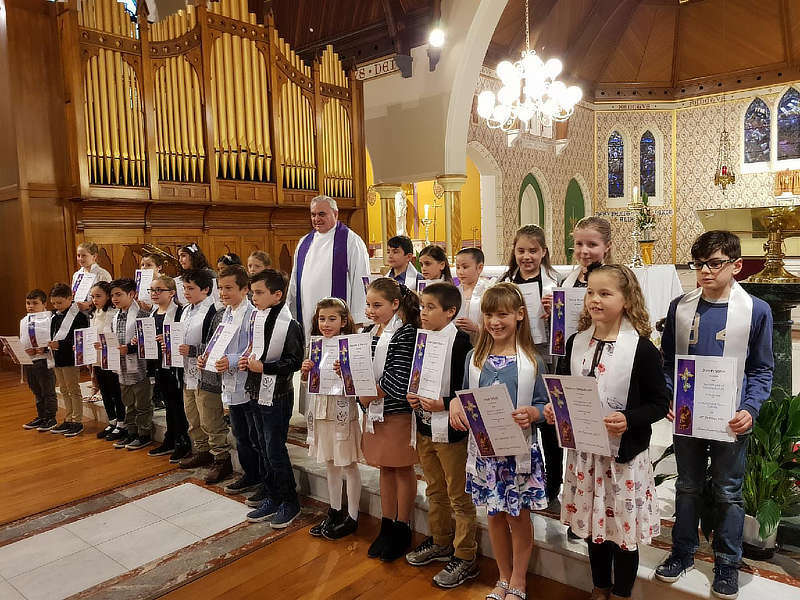 Interwoven into this is sacramentality, whereby students can identify God’s presence as a real experience, enhancing children’s understanding that God is present in everything around us. Using the text To Know, Worship and Love, and the Gospel, children are provided with the opportunity to engage and celebrate the Good News through reflection, prayer and action. The curriculum complements the work of the parish and parents to strengthen student’s relationship and belief in Christ as a person in their daily lives. A variety of teaching styles are employed to cater for student’s learning styles. These include teacher directed activities to conducting experiments, attending excursions, and conducting mini campaigns in the local community, to name a few. Our students are encouraged to develop critical and creative thinking skills and challenge themselves to identify questions, apply new knowledge, explain science phenomena and draw evidence-based conclusions using scientific methods. Technology, when used effectively provides a unique and powerful opportunity to enhance student learning across the curriculum. At St. Paul’s we believe that the use of ICT is an integral and necessary part of our student’s education. We aim to make this a positive experience so students feel a sense of achievement and confidence. All students have access to various digital technologies at school and this is used to enhance their learning. Art as St Paul’s forms an integral part of the school curriculum. Students come to the Art room once every three weeks for an hour and a half session. Every term, all attempts are made to integrate at least one Art activity into the Inquiry units that each Year level is studying. Sessions are primarily skill based with students continually exploring the elements of line, shape, tone, pattern and texture. Classes focus on building every student’s confidence in their ability to produce individual art pieces that in their own special way express a part of themselves. Through experimenting with different materials and techniques, and through the sharing of students’ innovative ideas, the students lend themselves to a showcase of artistic skills. Every term a sample piece from each Year level is selected to be framed and displayed along the entrance wall of the school. 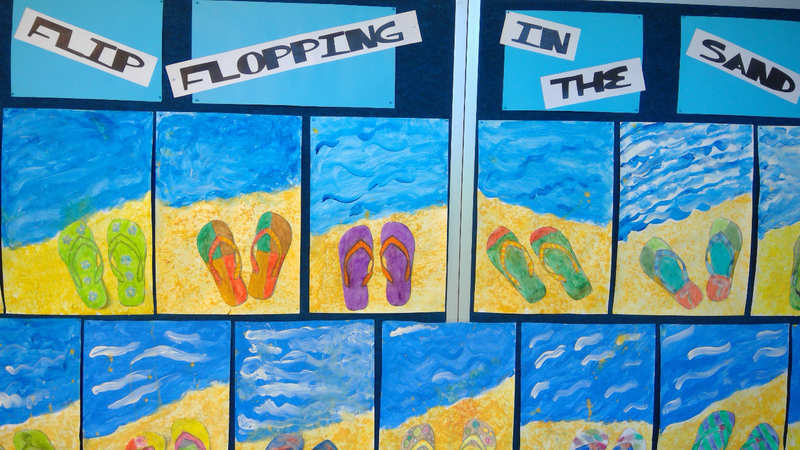 At times, pieces are selected and submitted into Art Competitions and much of the remaining students’ artwork is proudly line the school corridors and classrooms. Art activities at St. Paul’s promote students’ creative and critical thinking as well as the processes of planning, designing and application of skills. If students are given the opportunity to imagine, plan, explore materials and experiment with ideas, then they are making art. All children at St. Paul’s are given the opportunity to study a Language other than English (LOTE). Every week, all students from Foundation to Year 6 engage in a 45-minute session of Italian. We are fortunate enough to have a specialist LOTE room, which is well equipped with resources that include an interactive board and a set of surface tablets that children can access for research activities. Italian incursions are booked annually ending with an Italian lunch for all students on the day. During LOTE classes, students actively participate in interactive dialogue using simple language to talk about themselves, their family, friends, hobbies, interests, school life and routines. Using familiar language and structures, students create short written texts and role-plays related to the topics being studied. All students are encouraged to use as much Italian as possible when sharing ideas and thoughts with each other. Through their immersion in a LOTE, students increasingly notice the many similarities and differences that exit between the Italian and Australian cultural practices. Students also notice similarities and differences in the patterns of the Italian language compared to English and other familiar languages. Together they learn to recognize, appreciate and respect these cultural differences as they grow in their understanding of each other.